Our goal is to improve the treatment and the quality of life in patients suffering from life threatening diseases. We are creating novel drug substances that will take advantage of the unique properties of nature inspired lipids and combine the target areas indicated in the diagram: the anticancer, immune enhancing, and tumor selective drug delivery. Our approach takes advantage of the function of lipids in biological systems. Once considered as passive structural components of membranes, it is now widely recognized that in addition to controlling stability and permeability, lipids (particularly phospholipids) can influence metabolism and a wide variety of cellular signaling pathways. Nature inspired phospholipid molecules represent intriguing opportunity for developing novel drug candidates with great potential to achieve multi-level effects on human health while maintaining low toxicity. Inhibiting the growth of tumor cells while sparing normal cells is essential to developing safe therapies. As a result of amplified proliferation, cancerous cells often have increased rates of metabolism. Because lipids are essential for cell growth, research has shown these compounds can selectively accumulate in cancerous cells, thereby providing the opportunity for targeted drug delivery with improved safety. The immune system plays a key role in keeping us healthy. Phospho lipids modulate a great number of immune related events, such as lymphocyte proliferation, cytokine production, as well as phagocytosis. The biological processes are important for several autoimmune diseases. Moreover, these biochemical processes are becoming to be recognized as key targets for improved immuno- oncology treatments. Machavert is a bio-pharmaceutical company that develops new, first-in-class therapeutics that will harness the power of the human body to treat cancer and autoimmune diseases. 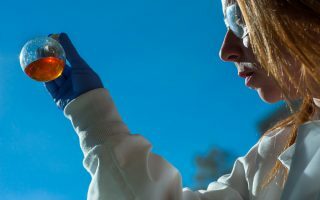 Our approach takes advantage of nature-inspired non-toxic substances that inhibit cancer growth, interact with the human immune system or enhance the targeting and efficacy of other therapeutics. Our primary goal is to improve the length and the quality of life of patients suffering from life threatening diseases such as pancreatic cancer. Machavert currently focuses on preclinical research and development to build a robust portfolio of drug candidates for clinical trials. Our leading drug candidate, designated as MP1000, is a nanoparticulate liposomal phospholipid immune-modulating agent that exhibits potent anti-cancer efficacy as well as a very low toxicity in animal models. In addition to progressing MP1000 through IND enabling studies and toward human clinical trials, we are developing next generation drug candidates to take advantage of our phospholipid platform in tumor specific drug delivery and immuno-oncology. At Machavert, we believe that the key to our success is a close collaboration in a creative team. We are a group of passionate innovators with multidisciplinary expertise; focused on the challenge to create new ways to treat cancer and other diseases with unmet medical needs. Jakub co-founded Machavert and acts as Chief Executive Officer. Prior Machavert, Jakub has worked as a scientist at numerous research organizations such as Argonne National Laboratory, IL, University of Gothenburg in Sweden and University of Liverpool in the UK. 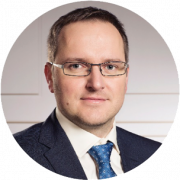 Jakub has also worked and was closely involved with our partner company Areko as a director and advisor to the executive team. Jakub graduated and holds Ph.D. from the Institute of Chemical Technology in Prague. Neal Goodwin acts as our Chief Science Officer responsible for all research and development programs. Neal recently served as Vice President, Corporate Research Development for Champions Oncology (NASDAQ: CSBR) where his responsibilities included development of a patient derived tumorgraft pharmacology portfolio for personalized oncology and translational oncology solutions. 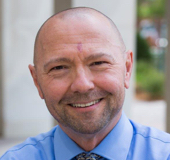 He previously served as the Director, Research and Development and the founding Program Director of JAX Cancer Services where he established a patient derived tumor biology program in collaboration with over 20 clinical cancer centers. Dr. Goodwin is a co-founder and a former Chief Scientific Officer of ProNAi Therapeutics (now Sierra Oncology; NASDAQ: SRRA) and he has served as a senior research scientist in genomic technologies at Pharmacia. Dr. Goodwin received a Ph.D. in Microbiology from The University of Montana and served a postdoctoral fellowship in functional genomics at The Jackson Laboratory with John Schimenti (now at Cornell). Greg focuses on discovery of new phospholipids and other small molecules and their modifications to create prospect candidates for drug development. 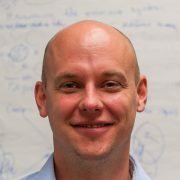 Greg has over 15 years of experience in medicinal chemistry and has worked at research positions both at small and large organizations such as Abbot Laboratories, Array Biopharma and lastly as an Associate Director at the Colorado Center for Drug Discovery at Colorado State University. Greg has been involved in almost all aspects of preclinical drug discovery and has worked in the areas of cancer, inflammation, pain and anti-virals. Greg authored several research papers and patent applications, graduated from the University of Wyoming, obtained Ph.D. from Colorado State University and was an American Cancer Society post-doctoral fellow and the University of Texas, Austin. Colleen is at the core of the synthesis and design of new molecules at our drug discovery chemical lab and also acts as our Vice President of R&D operations. She is a medicinal chemist with a 10+ years of experience most recently at Ironwood Pharmaceuticals, Cambridge, MA as well as other research organizations such as ArQule, Bayer, and Infinity Pharmaceuticals. She has authored several granted patents and patent applications, and has compounds that have moved forward into FDA trials. Colleen holds a B.S. in Chemistry from Salem State University, MA. Chris is our analytical chemist and takes care of analysis of all compounds that we make and work with in our labs. The analysis of phospholipids in particular is challenging but Chris has more than 20 years of experience with working with phospholipids in whole array of different environments including living tissues and using state of the art methods and equipment to do so. Prior joining Machavert, Chris was a lipidomic analysis expert at the Department of Pharmacology, School of Medicine, University of Colorado in a lab of Prof. Bob Murphy and previously also at the National Jewish Health in Denver. Chris has coauthored several scientific papers and holds a B.S. 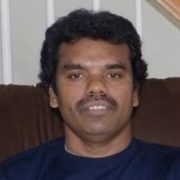 from the Colorado State University, Fort Collins, CO.
As a Scientist, Mani is responsible for research in biology and molecular biology focused on our compounds and their mechanism of action. Mani is an experienced investigator with 10+ years of cutting edge research focused on phospholipids and their cell biology related to autoimmune and other diseases. Prior joining Machavert, he has worked over 10 years at the Department of Medicine at National Jewish Health in Denver and published several scientific papers. Mani graduated from Madurai Kamaraj University and obtained his Ph.D. from Indian Institute of Science in India. Jason is a Senior Scientist leading our biology and molecular biology research programs related to cancer and immunology. Jason has 10+ years of experience with cutting edge cancer research and is now applying this knowledge to drug discovery and pharmacology. He has previously worked in cancer research at the University of Colorado Cancer Center and the University of Pittsburgh. Jason has authored numerous research papers, received many awards and acquired a number of externally funded grants. Jason holds degrees from the University of Wisconsin-Stevens Point (B.S) and the University of Iowa (Ph.D.). As a Research Associate, Ana is performing research in pharmacology and molecular biology focused on evaluating compounds both in-vitro and in-vivo. Ana is experienced in large and small molecule investigational and translational cancer research. Prior to joining Machavert, Ana worked at the University of Colorado, Anschutz Medical Campus in the laboratory of Prof. Dan Theodorescu. Ana graduated with a B.S. in Chemistry from the University of Colorado, Denver. 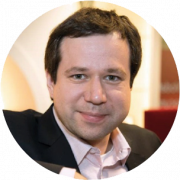 Stanislav cofounded Machavert and provides advice on long-term strategy, investor relations and holding management. Stanislav resides in Luxembourg and his recent activities include running the Supply Chain Strategy for the Vodafone group focusing on technology for which he was recognized by major international awards. Stanislav holds a MBA in Banking and Finance from the University of New York in Prague. Michal cofounded Machavert and helps with investor relations. Michal currently holds the CEO position in biggest online travel agency in CEE – Invia.cz, a.s. and as investor participates in multiple other projects in Czech Republic, Poland and Russia. Michal graduated at the University of Economics in Prague. Radek is a serial entrepreneur and investor. Radek currently acts as CEO of several Universities and educational institution on the Czech Republic and manages a number of other entrepreneurial activities. Radek cofounded Machavert and provides general business advice to Machavert regarding seeking of funding as well as administrative tasks. Michal graduated at the University of Economics in Prague. Dennis R. Voelker is Professor in the Department of Medicine and Director of Research, Pulmonary Division, National Jewish Health, Denver; and Professor, Department of Biochemistry and Molecular Genetics, Department of Pharmacology, Department of Medicine, University of Colorado School of Medicine, Denver, CO.
Dennis received his BS in Biological Sciences from Indiana University, and PhD in Biomedical Sciences from UT-Oak Ridge National Laboratory with Dr. Fred Snyder as his mentor. He performed postdoctoral research with Dr. Eugene P. Kennedy at Harvard Medical School. In 2018 he will receive the Avanti Award in Lipids for his research accomplishments. His research has focused upon multiple aspects of phospholipid biochemistry, molecular biology and genetics. A significant portion of his career has been dedicated to elucidating the mechanisms of inter-organelle phospholipid traffic and metabolism, using yeast genetics and molecular biology. Additional studies have focused upon elucidating the structural details of phospholipid-protein interactions, especially with the phospholipid constituents of pulmonary surfactant. Current topics being pursued in his laboratory include: 1) antagonism of innate immunity and respiratory viral infections by anionic phospholipids present in pulmonary surfactant, 2) application of lipids as inhibitors of viral infection and virus- induced exacerbations of chronic lung diseases, 3) development of high throughput screening strategies to target lipid metabolism in pathogens (bacteria, fungi and parasites) and neoplastic tissues for therapeutic purposes. Dennis acts as our general science advisor regarding phospholipid function in cells, as well as design of new approaches employing phospholipids for the suppression of inflammatory processes and the inhibition of cancer cell growth. 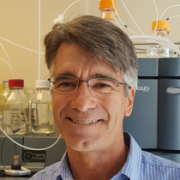 He is very enthusiastic about Machavert’s research program centered around phospholipid molecules that have been at the core of his entire research career. 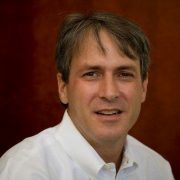 In addition to his focus on basic research issues, he has a keen interest in exploiting newly discovered activities of phospholipids to develop a new generation of pharmacologic agents for controlling inflammatory diseases such as Acute Respiratory Distress, and for suppressing infections and inflammatory sequelae from Respiratory Syncytial Virus, Influenza A Virus and Rhinovirus. Dan Theodorescu is the Director of the Samuel Oschin Comprehensive Cancer Institute at Cedars-Sinai, Los Angeles, CA. Dr. Theodorescu was previously the Director at the University of Colorado where he was also a Distinguished University Professor, incumbent of the Paul Bunn Chair in Cancer Research and Professor of Surgery (Urology) and Pharmacology. Dr. Theodorescu is known for his work on the molecular mechanisms underlying bladder cancer and tools that determine drug response as well as discovery of new drugs for cancer. Examples include discovery of genes that regulate tumor growth and metastasis (RhoGDI2, AGL, GON4L) and novel biomarkers (DNA/NGS, RNA and proteomic) and concepts for precision therapeutic approaches such as the COXEN principle, that are currently being tested in national (SWOG) clinical trials. He also conceptualized the approach and then led the discovery and development of a “first in class” RalGTPase inhibitor as a new therapeutic in cancer. This drug is now in commercial development. His laboratory is funded by grants from the NIH-NCI. Theodorescu has published over 300 articles including articles in Nature, Science, Cancer Cell, PNAS and JCI. He is the recipient of a number of awards, sits on several society boards and federal government committees and is the founding co-editor of Bladder Cancer, the first journal focused on this disease. He is an elected member of the American Society for Clinical Investigation (ASCI), the American Association of Genitourinary Surgeons (AAGUS), the American Surgical Association (ASA) and the National Academy of Medicine (NAM). Chairman and Acting Chief Science Officer, CID4. Dr. Duke is a biotechnology executive, inventor, biomedical researcher and serial entrepreneur with more than 20 years of experience in building, financing, and managing start-up biotechnology companies based on inventions made in Colorado’s non-profit research institutions. 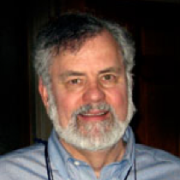 He is currently Founder and CSO of the Colorado Institute for Drug, Device and Diagnostic Development (CID4). Dr. Duke is a Co-scientific Founder and former CEO of GlobeImmune (NASD:GBIM) and was involved in the formation and/or management of Newellink, ApopLogic Pharmaceuticals, Sierra Neuropharmaceuticals (Cerebral Therapeutics), MenoGeniX, and Aurora Oncology. 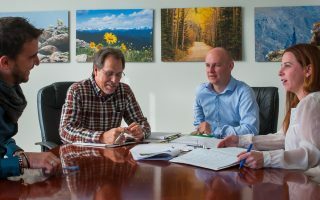 These Colorado-based companies have raised more than $200 million in grants and financing and have multiple products in phase 1 and 2 human clinical trials. 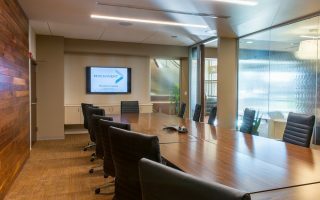 In addition to his entrepreneurial activities, Dr. Duke has more than 30 years of experience in biomedical research and is a tenured faculty member in the Department of Medicine (Medical Oncology) at the University of Colorado School of Medicine. His work on apoptosis was recognized as the cover article of Scientific American in October 1996. Dr. Duke has provided independent 3rd party research analysis in the life sciences sector to Janus Capital and to venture capital firms. He is a graduate of McGill University (B.Sc. and M.Sc.) and the University of Colorado (Ph.D.). David Brautigan is the F. Palmer Weber endowed chair for medical research and Director of the Center for Cell Signaling in the Department of Microbiology, Immunology and Cancer Biology at the University of Virginia School of Medicine. He is the co-leader of the Cancer Cell Signaling program, and member of the executive committee of the UVA Cancer Center. His research has focused on cell signaling and protein phosphorylation, and the biochemistry of phosphatase and kinase enzymes. Dr. Brautigan has authored more than 240 scientific articles, and been principal investigator of research grants from the National Institutes of Health (NIH) and various private foundations. He was elected fellow of the American Association for the Advancement of Science and serves on the editorial board for scientific journals, an advisor for programs and centers at Virginia and other Universities, and on scientific advisory boards for foundations. He was one a founding member of the Molecular and Integrative Signal Transduction (MIST) study section at NIH and its chairman 2010-2012. He has more than 30 years experience as a consultant for pharmaceutical and biotechnology companies, and has supported commercial distribution of over a dozen licensed research reagents. David Brautigan received his B.A. degree with honors in chemistry at Kalamazoo College, MI, a M.S. in chemistry and a Ph.D. in biochemistry from Northwestern University in Evanston, Illinois. He was a Muscular Dystrophy Association postdoctoral fellow at the University of Washington, Seattle with 1992 Nobel laureate Edmond H. Fischer. Before being recruited to Virginia in 1994 Dr. Brautigan was Professor of Medical Science at Brown University, Providence, RI where he taught biochemistry to undergraduate and medical students and served as Director of the Ph.D. program in Molecular, Cell Biology and Biochemistry. Robert C. Murphy, Professor, Department of Pharmacology, University of Colorado School of Medicine, Aurora, CO, graduated from the Massachusetts Institute of Technology with a Ph.D. in chemistry and is currently a University Distinguished Professor at the University of Colorado. He has worked in the area of mass spectrometry and eicosanoid biochemistry for over 40 years with much of his research activities centered on the use of mass spectrometry to studies of arachidonic acid biochemistry and formation of the biologically active leukotriene mediators. His interests also include the structural characterization of bioactive lipid products derived from the reaction of reactive oxygen species with cellular lipids. Over 500 peer-reviewed papers in scientific journals and several books concerning the mass spectrometry of lipids have been authored by him. He served as President of the American Society for Mass Spectrometry and is on the editorial boards of numerous scientific journals in biochemistry and mass spectrometry. 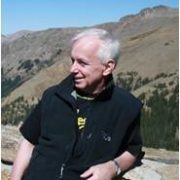 He has received several awards including the Dean’s Mentoring Award, the Faculty Excellence in Teaching Award, an NIH Merit Award, and the Eicosanoid Research Foundation Outstanding Achievement Award and was appointed as a University of Colorado Distinguished Professor. His most recent research programs focused on details of transcellular biosynthesis of leukotrienes, the formation of biologically active lipid products, the advancement of mass spectrometry in the area of lipidomics analysis, and the imaging of complex lipids in tissues. 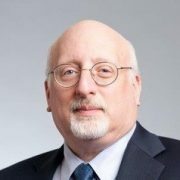 Chief Science Officer, Senior Vice President, Atreca, Inc.
Dr. Greenberg is the Chief Scientific Officer and Senior Vice President at Atreca, a privately held biotechnology company developing novel therapeutics based on a deep understanding of the human immune response. 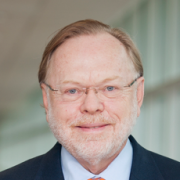 He previously held positions including Senior Vice President for Translational Medicine at Checkmate Pharmaceuticals, Vice President of Global Research, Oncology, at MedImmune – AstraZeneca, and as Senior Director of Research, Oncology, at Pfizer. As an academic, Dr. Greenberg held appointments as a Full Member of the Clinical Research Division at the Fred Hutchinson Cancer Research Center in Seattle, and as a tenured Professor of Urology and Molecular and Cellular Biology at Baylor College of Medicine in Houston. Dr. Greenberg received a BSc in microbiology and immunology from the University of Toronto and a PhD in microbiology and immunology from the University of British Columbia. He performed postdoctoral research at Baylor College of Medicine in Houston. Pavel is cofounder and CEO of Areko, Czech Republic. Pavel ensures smooth cooperation between Areko and Machavert and advises Machavert in both business aspects as well as R&D matters related to natural phospholipid processing and manufacturing. Prior Areko Pavel held executive positions in a major Czech medical products manufacturer Chemopharma; including CTO and CFO. Pavel graduated at Institute of Chemical Technology in Prague. International Chairman, Board Member and Advisor. Detlef advises Machavert on business strategy. His career included executive positions in Supply Chain Management, Finance and Operations in Germany, South Korea, Singapore, California / USA, England and Luxembourg. 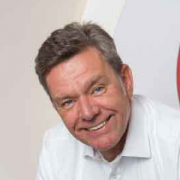 Detlef started his career with Siemens, worked for Applied Materials and lately for Vodafone as CEO of the Vodafone Procurement Company in Luxembourg and Group Supply Chain Management Director. Ondrej is invested in Machavert and provides us with general business advice. 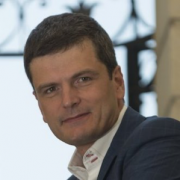 Ondrej was the founder and for 16 years the CEO of Netretail, the largest CEE e-retailer with €400m revenues. He raised multiple funding rounds and managed several large M&A projects, including exit of the business in 2012 to Naspers and to Rockaway in 2015.  Currently, he is general partner of Reflex Capital, investing in early stage innovative projects in Central Europe and U.S.A.
We have partnered with leading firms to provide us with additional expertise, guidance and resources. Areko is a biotech company based in the Czech Republic and founded in 1999. Machavert builds on the 15+ years of experience of Areko in the field of biologically active phospholipids. Areko provides know-how related to R&D and manufacturing of phospholipids as well as guidance and R&D resources to Machavert.